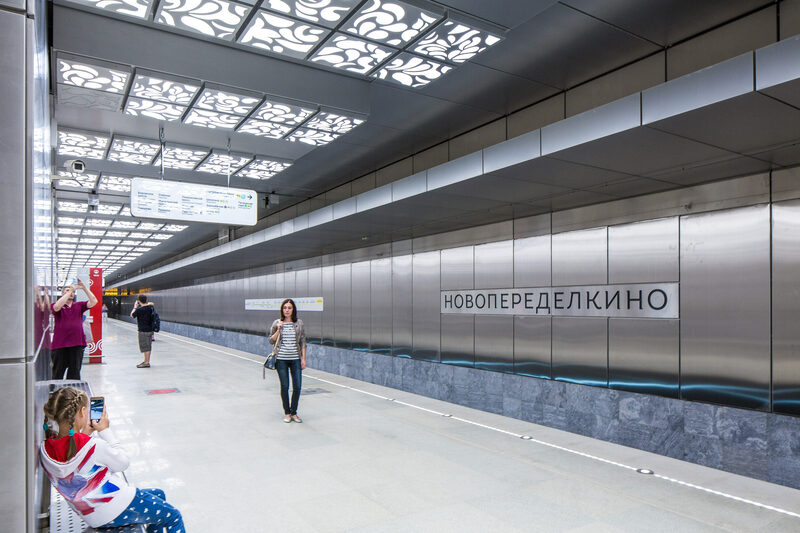 Novoperedelkino station of the Moscow Metro opened its doors to passengers on August 30, 2018. 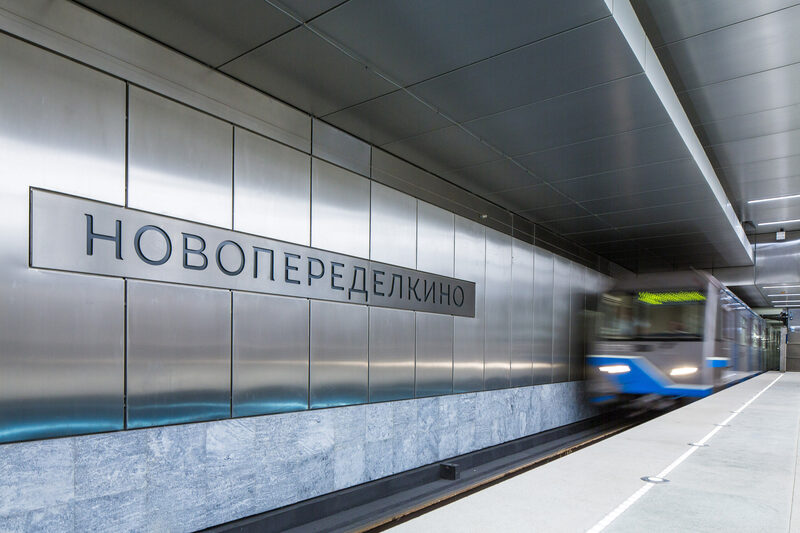 Lettering for the station walls and recommendations on choosing materials and technologies for its fabrication were created at the studio. 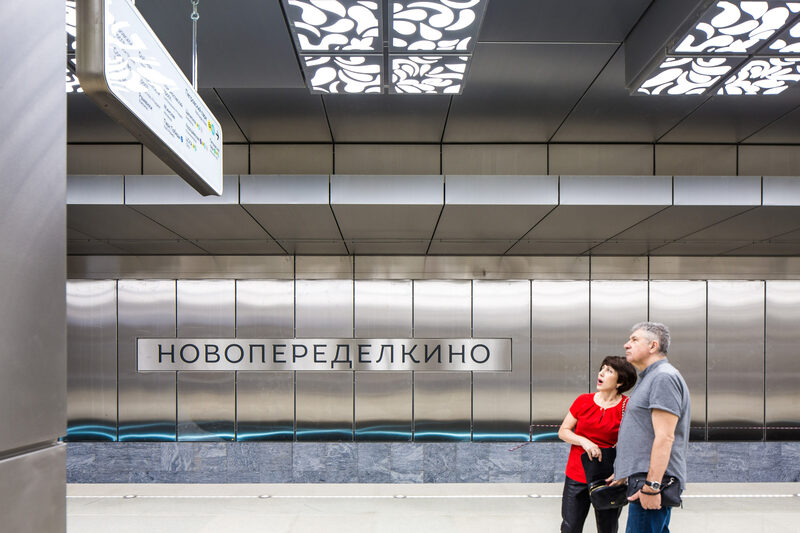 The station’s design maintains neutral gray and white colors enhanced by active patterns, which is why the letters are markedly calm and are not fighting for attention. Pleasant details such as thin serifs and small rounding radius inside the letters add character to the typeface.